To create her pieces, Roberts makes a clay model into which she embeds copper features. The piece is then covered with a refractory plaster material. When the clay is removed from the mold, the metal is left behind in the plaster. A glass paste, made of crushed glass frit and a binder, is layered around the metal and built up to create the walls of the object. When the piece is fired the copper is fused into the glass permanently. After removing the glass piece from the kiln the plaster mold is carefully removed and destroyed in the process, making each piece a one-of-a-kind sculpture. 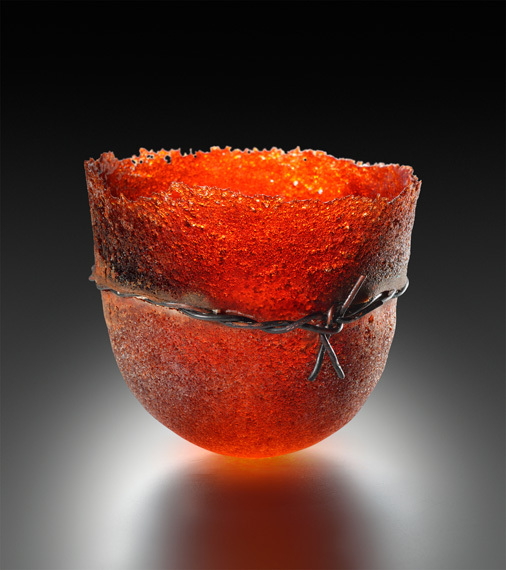 The glass has a soft, luminous quality, while being opaque and highly textured, as is characteristic of pâte de verre. The edges are very thin and quite randomly and organically formed, creating an intricate and delicate outline for the sculptures. 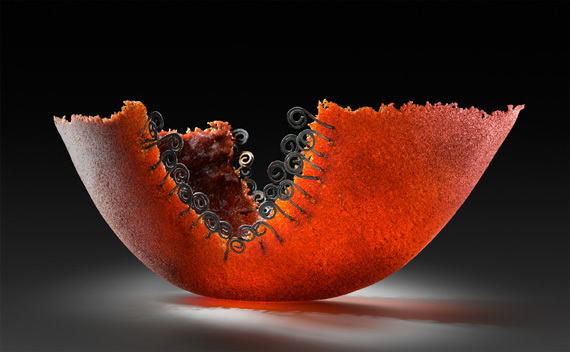 Pâte de verre is a technique that was first developed by the ancient Egyptians, but Patty has added her own contemporary flair, creating dramatic sculpture for today.